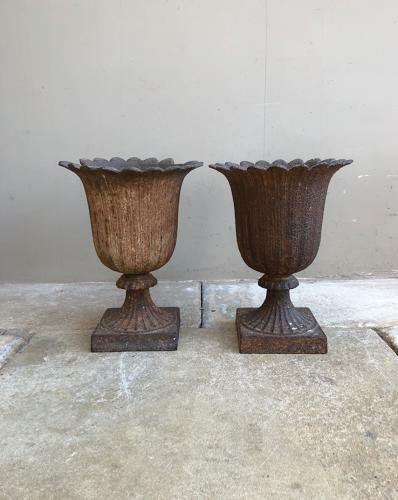 A pair of very pretty Victorian Cast Iron Urns. One has no damage...one has two petals missing from around its top, turned the right way barely noticeable. Very heavy and so collection or Courier preferred UK £45 excluding Scotland but I could wrap them in separate boxes and then post £25 total.